I'm currently doing SELECT 'SUM(1) as total_score' but I want to modify the query to take the date/age of the vote into consideration; where a vote from today weights 1, a vote from 15 days ago weights close to .8 and a vote from 30 days ago close to 0. I'm storing the date field on the votes table (vote_date) as a unix_timestamp. I'm not really concerned about the WHERE clausule; that's pretty straightforward. 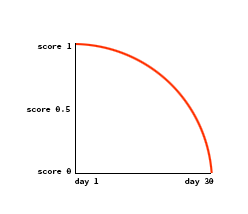 What I'm trying to figure out is the logarithmic aging part. I think there are two parts to your answer. First, the weighting function and then the SQL implementation. 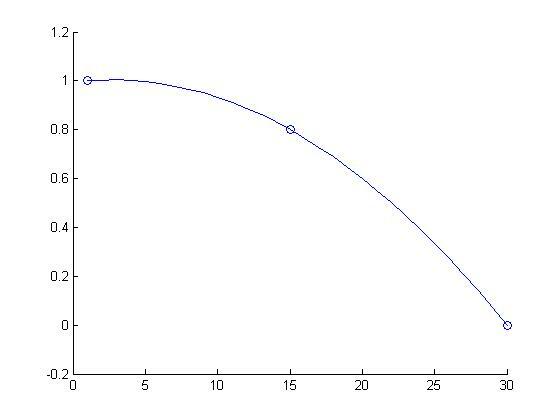 According to your graph, you don't want a log weight buit rather parabolic. 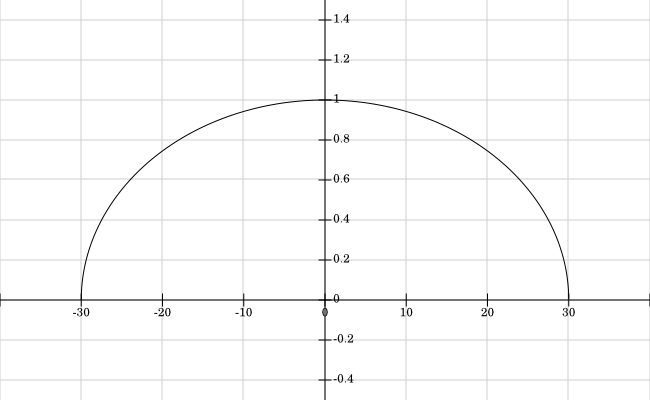 Now you have the appropriate wieights of the quadratic function you depicted; namely y = ax^2+bx+c with (a,b,c) =(-.0013,.0073,.9941). Suppose you have a function WEIGHT(age) that gives the weight of a vote that's age days old. I am afraid I don't know exactly what function you want for WEIGHT(age). But you do, and you can work it out.